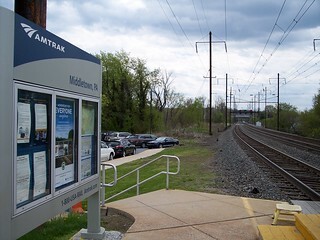 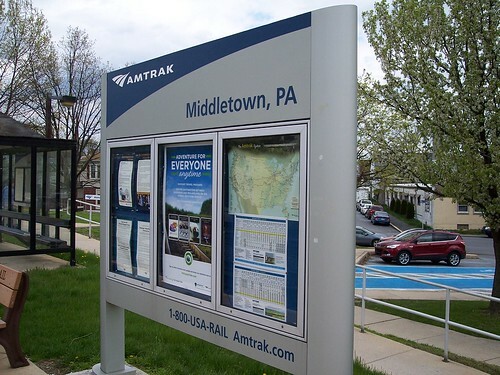 The Middletown station is comprised of just a small platform and shelter. 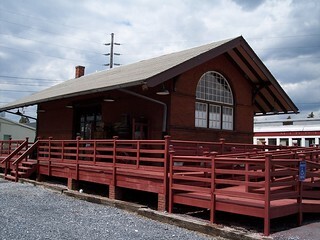 Judging by this building's location and style, it may have once been the station. 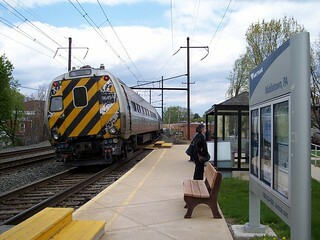 Our train to Coatesville arrives and our train from Coatesville departs. 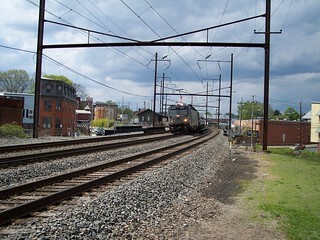 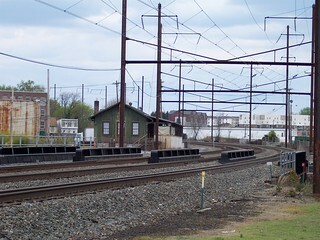 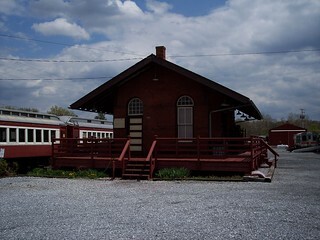 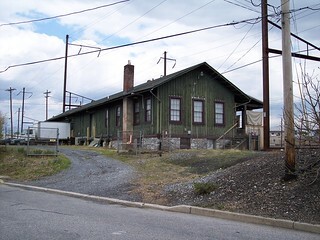 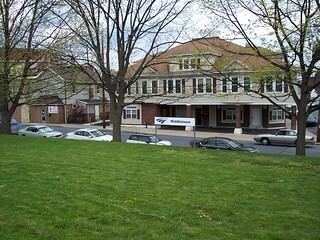 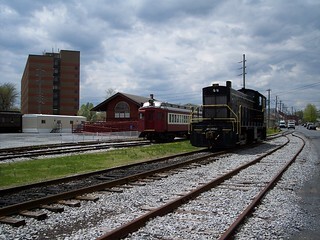 The station for the Middletown and Hummelstown Railroad sits nearby.